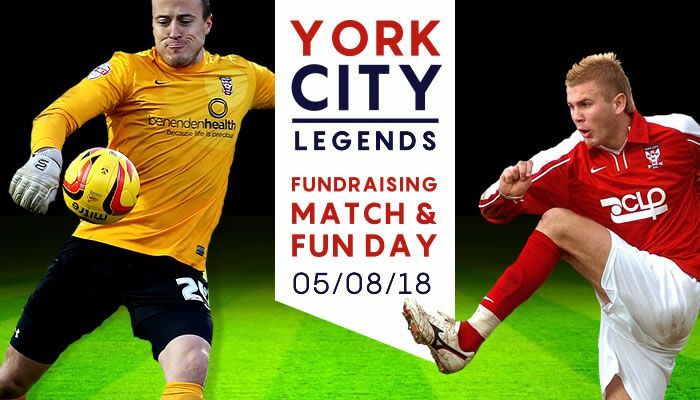 On 5th August 2018, York City Supporters’ Trust are hosting a Legends Match featuring over 30 former players going back over four decades. Hosted at Tadcaster Albion FC, the match and family fun day is expected to attract up to 2,000 fans with a particular focus on attracting local families. We are now seeking local business partners to sponsor the event with a number of fantastic advertising and sponsorship opportunities available. Other sponsorship and advertising opportunities are available starting from just £500, with all proceeds from the event will going to the Supporters’ Trust’s contingency fund for the protection of the long-term future of the club. If you are interested in getting involved in this exciting event, please contact us at sponsorship@ycst.org.uk for further details.